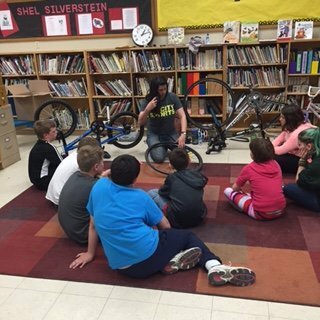 Find a biking workshop that is right for you! Your town may have shops participating in the Bicycle Benefits program! Get discounts at local shops for putting a Bicycle Benefits sticker on your helmet and riding to the shop! Contact Local Motion to request a Bicycle Benefits sticker and a quick reference card for your region. Riding shouldn’t be a chore. Set your own pace. It’s a chance to enjoy the fresh air while you move your body. We encourage everyone to take a bicycling workshop from Local Motion. Local Motion’s workshops are run by experts who are excited to help other people discover the possibilities for incorporating everyday bicycling into any lifestyle. All Everyday Bicycling Project services are now FREE for Vermont organizations thanks to VTrans and the Chittenden County Regional Planning Commission. To schedule a workshop, learning ride, or coaching session, contact Mary Catherine Graziano. Introduction to Basic Bike Skills – This on-bike workshop is perfect for adults who haven’t ridden their bikes in a long time. We will help sharpen rusty skills, and even give you brand-new ones! Basic Everyday Bicycling Workshop – This one-hour workshop gives participants the information and encouragement you need to start safely using your bicycle for transportation. On-Street Everyday Bicycling Workshop – This workshop helps participants build skills and confidence for riding on the street! The focus of this workshop will be on feeling comfortable riding with traffic and being safe. Basic Bike Mechanics Workshop – This workshop will give participants the skills you need to be able to roam far and wide on your bike with confidence. Safe Family Everyday Bicycling Workshop – Many people bicycle less after having children. Participants at this workshop will discover how to ride safely with children, and ways to include their child on more bike rides. Winter Everyday Bicycling Workshop – This workshop covers all participants need to know to enter the wild and exciting world of riding through the winter. Visit Local Motion’s website for more information. co-riding to a destination to gain confidence in the ride, and more! Looking for more motivation to ride? Join the National Bike Challenge and win prizes, pass milestones, and watch your achievements on the leaderboard! Be predictable—signal your turns, ride in a straight line, and stop at all stop signs and lights. As a safety precaution, we also recommend riding with a helmet. LOOKING FOR MAPS & ROUTES? 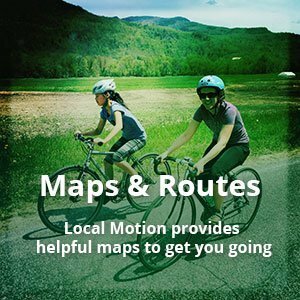 Visit the Local Motion website for bike map and route options in Vermont. When biking really isn’t an option, Go! Vermont can help, with the Guaranteed Ride Home. Biking has the power to transform your day. 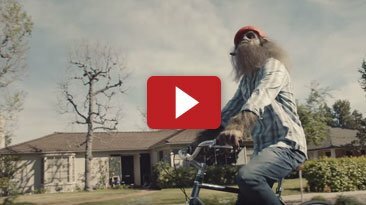 Check out this video – Shed The Monster!